People category – Observe the difference of wood use in the past and present. This is a contest with a ‘elite license’ at VOUBS. All the prize awards are guaranteed and witheld from the organizer by VOUBS! 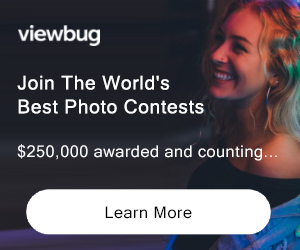 ● The winning photographer will be awarded with a $2,500 cash prize. ● The winning photograph will be exhibited at the 2019 World Wood Day Event. 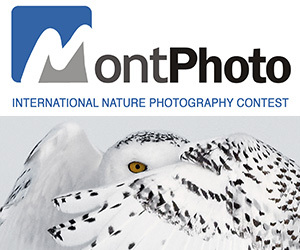 ● The winning photographers will be awarded with a $1,800 cash prize. ● The winning photographs will be exhibited at the 2019 World Wood Day Event. ● The winning photographers will be awarded with a $300 cash prize. World Wood Day is on March 21st, the vernal equinox, to highlight wood as an eco-friendly and renewable biomaterial and to raise awareness on the key role wood plays in a sustainable world through biodiversity and forest conservation. The day serves as a reminder of the importance and true value of wood and its responsible uses. * Each photograph will only be awarded with one (1) prize. Not eligible to enter? - Find contest where you are. COPYRIGHT: Copyright of the photograph will remain to the photographer. *IWCS and WWD reserve the right to amend the terms set forth herein, without prior notice, to add, change, and replace any terms or conditions of the contest. USAGE RIGHTS: Copyright of the photograph will remain to the photographer. 1. I am the author of the photograph(s) I submit. 2. I am the sole copyright holder or have been authorized by the copyright holder to submit the photograph(s). 3. I guarantee that to the best of my knowledge no third party can claim rights or raise objections to publication/reproduction/distribution of the photograph submitted. Submission of the photograph does not violate any applicable law, including but not limited to the Copyright Law of the United States. 4. I accept all Entry Rules for the World Wood Day 2019 Photography Contest. 5. I grant International Wood Culture Society (IWCS) and World Wood Day (WWD) permission to use photograph submitted in the contest, and without any remuneration being due, in its online archive showcasing the results of previous events and contests. 6. If my photograph is awarded, I grant International Wood Culture Society (IWCS) and World Wood Day (WWD) a three-year full copyrights permission to use my winning photograph in brochure(s), video(s) and all media, including online, the exhibition, and all promotional activities in relation to wood culture, the World Wood Day Events, and future contests, without any remuneration being due.